A 16-year-old footballer who collapsed and died during a training session with Walsall FC died of natural causes, an inquest has heard. Youth team player Anton Reid had a heart condition which was only discovered after his death, the Manor Park Hospital hearing was told. He suffered a heart attack after a football hit him on the chest while training at the University of Aston. He had been due to collect his GCSE results just days later. Coroner Robin Balmain was told by pathologist Dr Ye Lin Hock that tests after his death had revealed a heart condition known as idiopathic left ventricular hypertrophy. 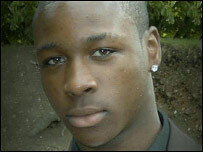 The hearing was told that, after being hit by a football, Anton ran back into the 18-yard box and fell to the ground. Attempts to resuscitate him failed and he was airlifted to hospital where he was pronounced dead. Mr Balmain said that he was satisfied the player had been well looked after by the club and there had been no reason to believe he had a health condition. Anton lived in Wenlock Gardens, Walsall, with his mother Sonia Bailey. She was too upset to speak after the inquest. Walsall FC's head of youth football, Mick Halsall, said: "He had massive potential. He was a very strong, quick, aggressive player. "I firmly believe he had a great chance of becoming a professional footballer."